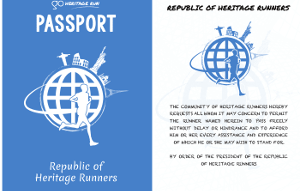 A fun, untimed run along incredible views of cenotaphs, the river Betwa, historic temples and a sanctuary this December! 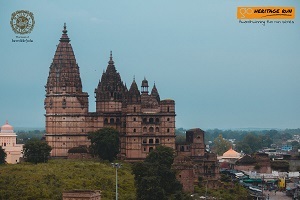 Orchha is a short 20 km drive from Jhansi and just across the MP/UP border.Jhansi is well connected by road and rail to Delhi, M.P. 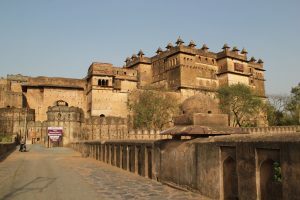 and the rest of the country so plan your trip via Jhansi.Cabs, buses and autos ply frequently between Jhansi and Orchha. 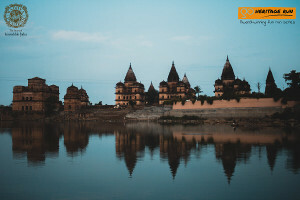 Orchha is a small town but has lots of hotel and accommodation options catering to most budgets. Most hotels are also within walking distance of the run start point - MP Tourism Hotel Sheesh Mahal within the Orchha Palace complex. Travellers, heritage enthusiasts, runners and visitors participating in Go Heritage Run - Orchha this December will run through this 16th Century town when it is at its prettiest - in the early dawn hours. 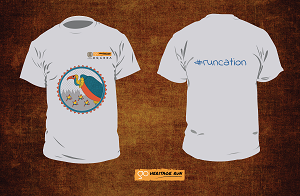 And the Orchha 2018 run t-shirt has been inspired by exactly that - Sunrise at Orchha. 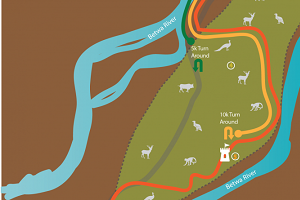 They're a combination of road and trail and traverse some of Orchha's iconic heritage sites - its fort, the chattris and then head across the river Betwa into a wildlife sanctuary on an island. 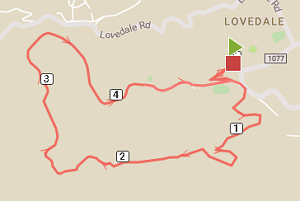 Read more about the 5KM, 10KM and 21KM run routes here. 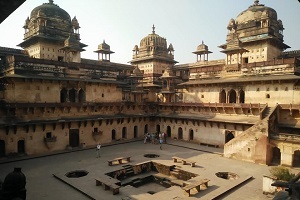 The Orchha Fort Complex, situated on the banks of the Betwa has many palaces to explore. The nearby Chhattris or cenotaphs are worth a visit too. And see if you can spot a vulture while you're there - they're known to be very silent and still. Since you're in the region, we suggest combining your trip to Orchha with a visit to nearby Khajuraho and Kalinjar Fort. There's MP Tourism hotels at each of these destinations and Khajuraho and Orchha can both be covered over 3-4 days.